This topic contains 21 replies, has 2 voices, and was last updated by Tina 1 year, 1 month ago. 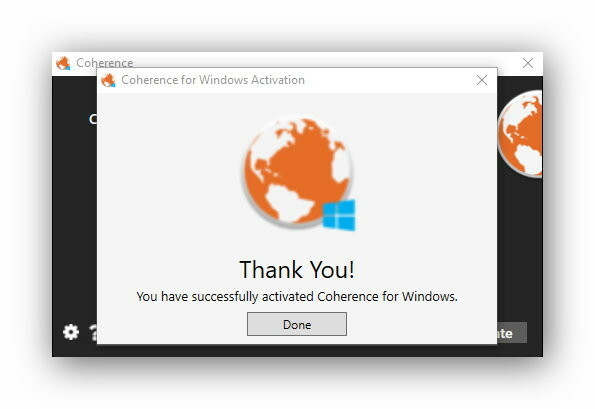 Have something to say about Coherence for Windows? Say it here! There was no licence code for coherence in www (on summary with download). [@Guest] [@ibrahim] Checkout again for a key. Which would be great, if a license key was actually provided. I understand that I’m not telling you something you wouldn’t already know by posting this since others are also saying the same thing, but I think it’s something worth repeating since SharewareOnSale has taken a hard stance against software publishers that have screwed around with licenses in the past. @ashraf Noticed your comment after I posted mine. Thanks for the update. Can confirm that the license appears and works, at least from my end. I wanted to ask how this is any different from simply creating a shortcut link to a website and adding it to you desktop or quick launch bar? Really can’t see the point. I have installed it and tried it, but it seems quicker to me to either simply type the site into a browser or as mentioned previously, have a shortcut. I do appreciate the opportunity to try it out though. It took a while to understand where the activation code is hidden on the download page! It’s on very top and begins with “id” and ends with “uk”. I anyway have problems to activate. 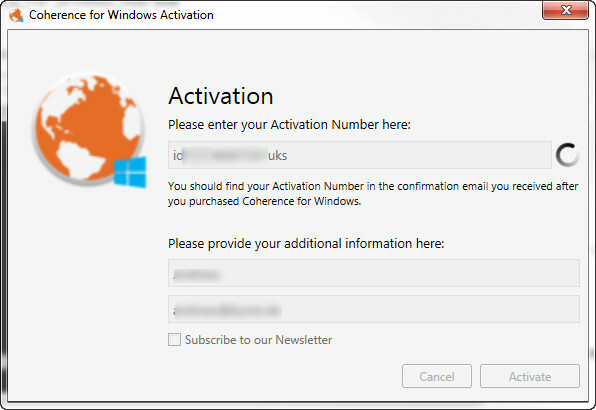 Hangs now in the activating dialog since 15 Minutes. Ok I tested the App. Sorry this tool is a beginners project and actually is a joke in what it does and how its realized! Btw. the Microsoft example is more advanced that what this tool creates, as it does not relies on a batch file stored hidden somewhere. start /d "C:\Program Files (x86)\Coherence\chrome\53.0.2785.143" chrome.exe --load --profile-directory=Default --app=http://test.net --user-data-dir="C:\Users\andy\AppData\Local\Google\Chrome\User Data\Default\Extensions\rnhkgjmbbpopzybexxkqzrkpzdaaat"
I actually expected the tool to use Chromium Embedded Framework (CefSharp) and create a portable single Executable. Even that would be not to difficult to do. If the developer can’t take the time to show the benefits of their app at their website, then why should I waste mine?! Awaiting tomorrow’s giveaway and hoping it is better than this one (how could it not be? ).